We begin by discussing what a restraining order is, generally. We can then move on to Domestic Violence Restraining Orders in particular. A restraining order is a kind of court order issued by a judge. The restraining order almost always prohibits a person from engaging in particular behavior, or particular activities. Sometimes the order will additionally require that the person perform some action. The restraining order issued initially is called a “Temporary Restraining Order” (TRO). If made permanant, these TRO's then become ”Final Restraining Orders” (FRO's). A Domestic Violence Restraining Order (“DVRO”) is a restraining order that is issued in specific circumstances. These circumstances are set forth in New Jersey statutes beginning at N.J.S. 2C:25-17. For a New Jersey Domestic Violence Restraining Orders to issue, a complaining person (the “plaintiff”) must satisfy a court that two conditions exist. The first condition is that he or she had a “protected relationship” with another individual (the “defendant”). The second condition is that the plaintiff is in need of protection from the defendant because the defendant recently committed an “Act of Domestic Violence” directed at the plaintiff. The parties have one or more children together. Criminal charges are often filed against the defendant at the same time that a restraining order is sought. The domestic violence and criminal complaints both arise from the same incident. However, the courts treat them as separate proceedings. They proceed on separate paths, and in front of different judges. It is much easier to make a case for one, as opposed to the other. And the potential consequences for each are very different. Criminal charges require proof beyond a reasonable doubt. Domestic Violence Restraining Orders do not. Persons seeking a DVRO only need prove their case by what the legal system calls a “preponderance of the evidence.” That is just a fancy phrase that means that the allegations are more likely true than not. The person who makes that determination is a single judge. If that single judge has doubts whether the plaintiff is telling the truth, the judge will often resolve those doubts in the plaintiff's favor. This is because many judges live in fear that if they refuse to grant the Order, the defendant may do something violent against the plaintiff, resulting in unfavorable publicity for the judge in newspapers, on television, and on You Tube. For all those reasons, it is much easier for a plaintiff to get a restraining order than it is for the State to prove the alleged criminal charge upon which the restraining order is based. When criminal charges are filed, weeks or months may pass before those charges are finally resolved. As explained below, however, a restraining order is immediate. This restraining order will dramatically impact the defendant's family and personal life. And while the related criminal charge may do the same, its full impact will seldom be immediate. Unlike Domestic Violence Restraining Orders, criminal charges also threaten a jail or prison term. If there is matrimonial litigation between the parties, both criminal charges and a restraining order will significantly handicap a defendant in those proceedings, especially with regard to child custody matters. A domestic violence case starts in New Jersey when a plaintiff seeks a Temporary Restraining Order (TRO) from the court. If the court finds that good cause exists, it may issue the TRO. This TRO can be based on a plaintiff's allegations alone. And this can all be with no prior notice to the defendant. The court then arranges for a court officer, a sheriff's officer, or a local police officer to serve a copy of the TRO upon the defendant. When the TRO is served on a defendant, he or she is legally required to comply with its provisions immediately. They must obey the order even if they had no opportunity to dispute the plaintiff's claims in court. And as we explain below, the TRO may require that the defendant, among other things, immediately vacate his or her home, and cease all contact with his or her children. Defendants receiving a TRO must act with no delay because the final hearing is scheduled quickly. “Quickly,” here, means usually within ten days after issuance of the TRO. Thus there arises an urgent need to obtain a skilled New Jersey domestic violence lawyer, and give that lawyer as much time as possible to prepare for the hearing. This preparation is crucial, for at least four reasons. In most cases, it is easier to convince the judge not to issue the NJ FRO in the first place than it is to persuade the judge to lift the NJ FRO after it has been issued. After the judge has decided the case, she will seldom second-guess her own ruling. And, on appeal, the appellate judges are normally required to defer to the findings of the original trial judge. A Domestic Violence Restraining Order seriously disrupts the life of the person controlled by it. The Order imposes obligations on the defendant that are inconvenient and highly intrusive. We discuss some of these restrictions below. The New Jersey Domestic Violence Restraining order (DVRO) almost always bars all contact with the plaintiff. This bar applies at his or her home, place of employment, school, or at any other specified place the plaintiff frequents. The order bars direct, face-to-face contact. In addition, the Order bars contact through others. Thus the order specifies that the defendant cannot contact the plaintiff by notes, letters, phone calls, emails, text messages, or even contact through third parties. The Order bars contact with the plaintiff in public places such as a mall, restaurant or movie theater. If the defendant and the plaintiff accidentally happen to be at the same location, the defendant must do whatever is necessary to avoid contact with the plaintiff. This could require the defendant to leave the area to avoid being charged with violating the order. A restraining order may also bar such contact with persons associated with the plaintiff. 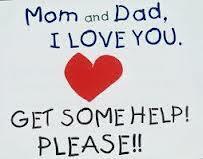 These other persons can include the plaintiff's family members, friends, or other persons in the household. A restraining order may grant the plaintiff exclusive possession of any residence that the parties shared. At the same time, it can require the defendant to continue making rent or mortgage payments on the property. What this means is that if the parties had been living together, the defendant must leave the home and make arrangements to live elsewhere. This requires that the defendant pay for the new location as well as continue to pay costs for the original residence. If the parties have minor children together, the Order may grant the plaintiff temporary custody of the children. The Order may entirely eliminate or severely restrict the duration and circumstances of the defendant's contact with his or her own children. Person subject to a Domestic Violence Restraining Order are barred from purchasing or possessing firearms, or obtaining a firearms purchasers' permit. A judge issuing a restraining order may authorize a search for and seizure of firearms the defendant may have. The State may later seek the permanent forfeiture of any firearms seized, and revocation of any firearms purchasers' permit issued to the defendant. The court may order the defendant to undergo a psychiatric evaluation. It may also require the defendant to have domestic violence counseling. This counseling would be at the defendant's own expense. 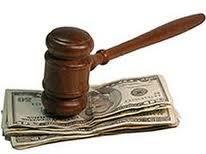 A judge issuing an NJ FRO may require the defendant to compensate the plaintiff for any financial losses suffered. The judge may also impose a civil penalty on the defendant. This civil penalty can be up to $500.00. And the court will require payment of a $100.00 surcharge. A person found by a police officer to have violated the terms of a Domestic Violence Restraining Order must be arrested. That person will remain in custody until a judge sets bail, and the bail is posted. Depending upon the circumstances, persons violating a restraining order may also be subject to criminal prosecution. That prosecution can be for a felony (in New Jersey terminology, a “fourth degree crime”). Upon conviction, the defendant is exposed to a fine of $10,000.00 and up to 18 months in prison. Violating the restraining order in some cases is treated as a disorderly persons offense. In that situation, the defendant is exposed to a fine of $1,000.00, and up to six months in jail. Persons convicted of a second or subsequent disorderly persons violation of a restraining order must serve at least thirty days in jail. Also, a court considering whether to lift a restraining order will regard a violation as cause to deny a defendant's request. In New Jersey, domestic violence final restraining orders remains in place forever, unless the Order is lifted (“vacated”) by a subsequent court order. A plaintiff alone may not free the defendant of his or her obligation to comply with the order. Passage of time, even many years, does not undo the order. Many times a plaintiff invites the defendant to resume their former relationship and ignore the order. Such invitations are often made in good faith. Sometimes, however, it is just a trap. Regardless, it is very dangerous. Unless the court has vacated the order, a defendant still risks arrest and criminal charges for violating the order. And even when the plaintiff extends that invitation in good faith, a later argument, or souring of the relationship, or even a complaint by a meddlesome mother-in-law, or new boyfriend / girlfriend gives the plaintiff, plaintiff's family members, and others a huge sledgehammer to use against the defendant. The mere existence of a restraining order creates other problems for a defendant. It poses a threat to their employment should a current or future potential employer discover it. In addition, the order is recorded in databases kept by government agencies. As a result, a defendant may suffer the embarrassment of being detained and questioned about the order at customs when entering or leaving the country. As indicated above, it affects the ability of a defendant to legally obtain or possess firearms. Obtaining or possessing firearms while the order remains in effect is a New Jersey crime. It is a federal crime as well. For these reasons, going to court to vacate a restraining order as soon as possible is more than prudent. It is important to a defendant's financial security and peace of mind. How long has the DVRO has been in place? Does the plaintiff consent to lifting the restraining order? Does the plaintiff fear the defendant? What is the nature of the relationship between the parties at the time removal of the order is sought? Has the defendant been convicted of contempt for violating the order and, if so, when? and how many times? Does the defendant have a continuing involvement with drug abuse? Does the defendant have a continuing involvement with alcohol abuse? Has the defendant been involved in violent acts with other persons? Has the defendant had counseling? What is the age and health of the defendant? Is the plaintiff acting in good faith if opposing the defendant's request? Has any other jurisdiction entered a restraining order protecting the plaintiff from the defendant? What hardship, if any, would continuation of the restraining order impose upon the defendant? Possible consequences of a restraining order and related criminal charges in New Jersey are devestating. It is critical that a defendant facing such issues have experienced and dedicated legal representation. It is especially important that a defendant retain counsel before making any statement whatsoever to the police. Anything a defendant says to the police may gravely damage a defendant's chances for a favorable outcome. Anything at all. It is crucial that a defendant be represented by experienced counsel in all domestic violence matters. Allan Marain, Esq. and Norman Epting, Jr., Esq. have each worked exclusively as trial lawyers in New Jersey for a combined total of over sixty-five years. As indicated above, domestic violence matters in New Jersey, once begun, move through the courts very quickly. Both Mr. Marain and Mr. Goodman are available at no cost to confer with you about your situation. Call them! Page last updated 20 August 2017, and displayed Thursday 18 April 2019, at 06:19:06 EDT.